Allah's Messenger (Sallallahu Alaihi Wasallam) said, "O Allah! 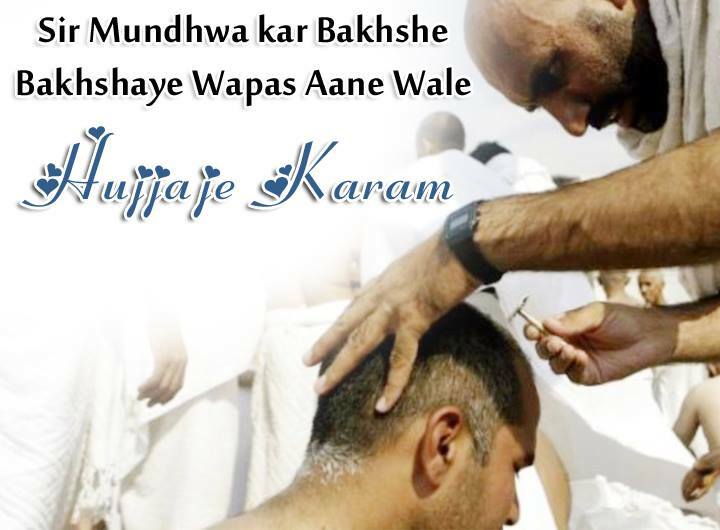 Forgive those who get their heads shaved." The people asked. "Also those who get their hair cut short?" The Prophet (Sallallahu Alaihi Wasallam) said, "O Allah! Forgive those who have their heads shaved." The people said, "Also those who get their hair cut short?" The Prophet (invoke Allah for those who have their heads shaved and) at the third time said, "also (forgive) those who get their hair cut short." Urdu Translation: Nabi Akram Sallallahu Alaihi Wasallam ne (Manasike Hajj ada karne walon ke liye) Dua farmayi: "Aye Allah! Sir Mundhwane (Halq karwane) walon ki Maghfirat farmade." Sahaba Karam RadiyAllahu Anhum ne Arz kiya: Aur Baal katarwane walon ki? Aan Hazrat Sallallahu Alaihi Wasallam (dobarah wahi) Dua farmayi: "Aye Allah! Sir Mundhwane walon ki Maghfirat farmade." Sahaba Karam ne phir Arz kiya: Aur baal katarwane walon ki? Aap Sallallahu Alaihi Wasallam ne 3 Martaba pahli wali Dua hi irshad farmayi, phir (Aakhir mein) Aap Sallallahu Alaihi Wasallam ne Irshad Farmaya: "Aur Baal katarwane walon ki bhi Maghfirat farmade."